A 15 minute dinner miracle. 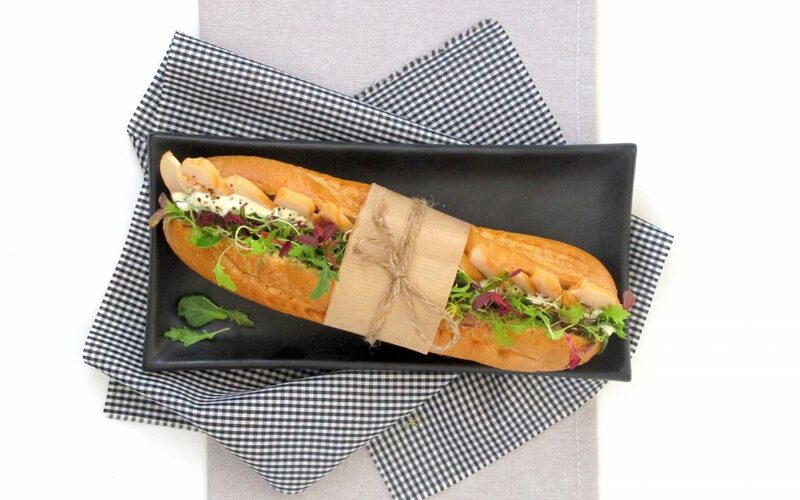 Smokey chicken breast layered with fresh micro herbs, inside a crispy baguette, with decadent creamed cheese, chives and a parsley dressing. 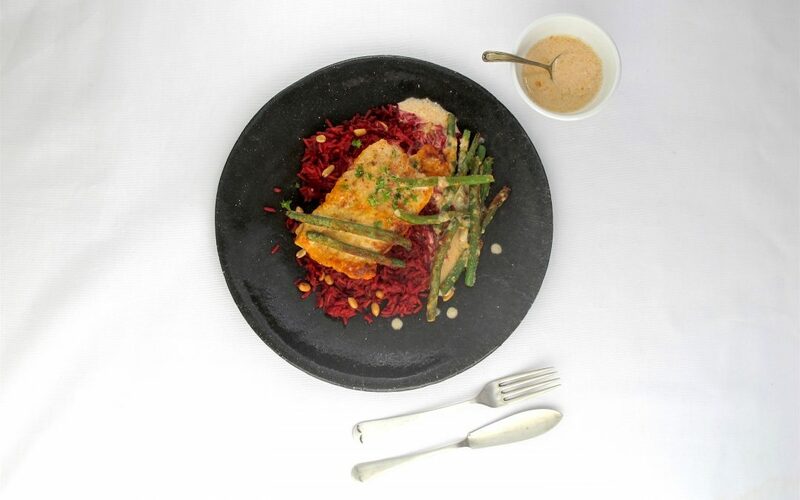 Fresh Angelfish basted in a Tahini dressing, served with a Middle-eastern salad called Fattoush. 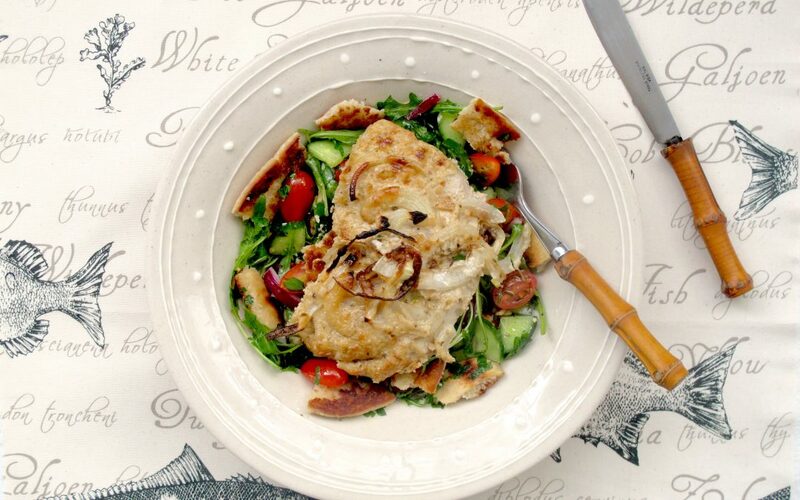 A salad made from pieces of flat bread combined with mixed greens and tomatoes. 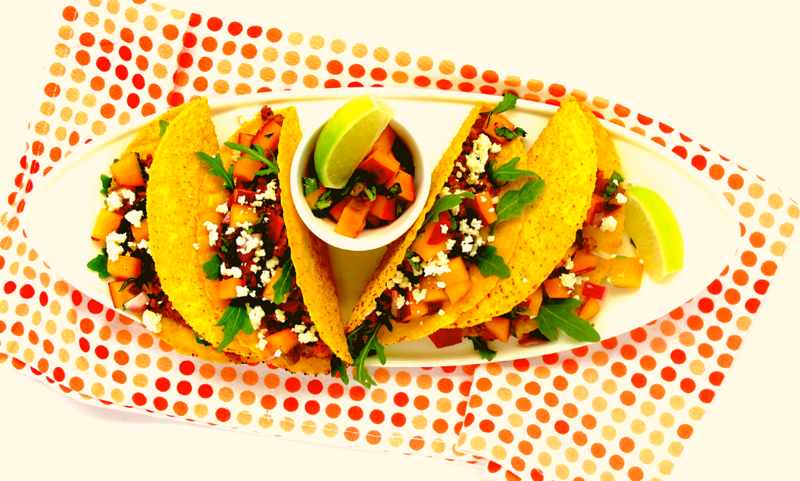 Crispy corn Tacos filled with mildly spiced Beef, topped with a sweet Plum and fresh Basil salsa. 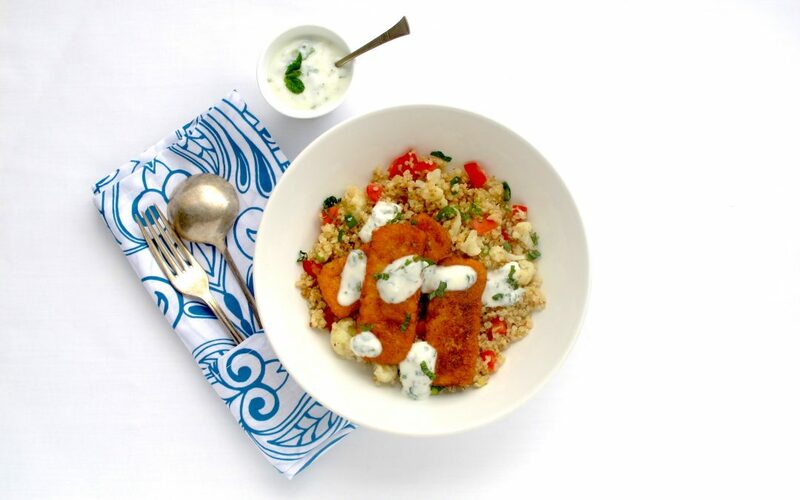 Chermoula spiced Halloumi cheese, served with Cauliflower and Quinoa. Drizzled with a fresh Mint Raita dressing. 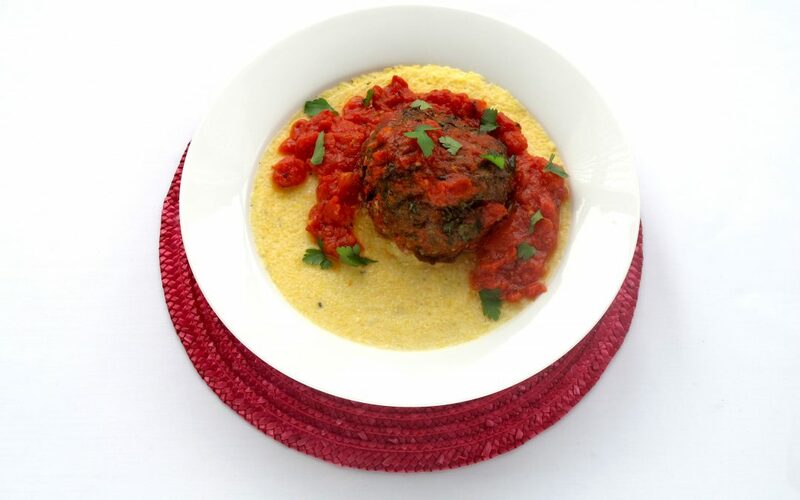 Sugo is a classic Italian Tomato sauce that compliments this Spinach infused Meatballs. Served on a bed of creamy and easy to cook Polenta.